Do you remember when . . . . 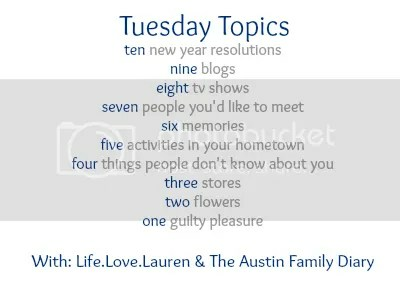 This week’s Tuesday’s Topics is to list six different memories. Which could be anything. Times in school that were once in a lifetime opportunities. Times in life that were horrid moments. When your heart soared. When your heart was broken. When you fell in love. When you got the job. When you lost the job. When you flew on an airplane for the first time. When you lost someone you loved. So many opportunities for memories, how do you just pick six? Father’s Day 1983: Two weeks before this day, just after the first of June, my father took my brother and I out for the night. We were thrilled. It was only the third time in four years that we had done something with our father. This night, however, on the way to the movies, we were told that he never should have been a father and he would be moving out. After the movies, he took us to play miniature golf and expected us to have fun. Instead, all we could focus on is that we were losing our father. He moved out on Father’s day. Christmas 2001: When my brother was in the army, my cousin N and I saved up and spent a week in California between San Francisco, Carmel Valley, and Big Sur. I am a scrapbooker. This trip was in the early days, when I was just starting. So therefore I saved everything on the trip–ticket stubs, matchbooks, coasters, Alcatraz brochures, etc. All to go with the photos in my scrapbook when I got back. It was a few months before I started to work on the book, but I was having fun putting it together. My roommate at the time (now married to N’s sister) was trying to clean up for a change. Two days later when I went back to the living room to work on the book, I couldn’t find my souvenirs anywhere. Come to find out my roommate saw a bag full of stuff and thought it was trash, so he dumped it for pickup the day before. Everything was gone. I was heartbroken. Two months later was Christmas. My brother gave me this small box, and inside of it was a trolley ticket stub, an Alcatraz ticket stub. Fliers from Ripley’s. Coasters from the Irish pub we loved. A napkin from Ghirardelli square. A baggage claim stub. A barf bag from his plane trip home. That boy had taken the veterans day holiday in November and gone up from Monterey to relive our vacation in a day or less. He had pulled every souvenir that he could possibly obtain and gift wrapped it for me that year. Love that boy. And yes, I may have cried. April 16, 2007: It was a Monday. And more so than on Tuesday, September 11, 2001 (which was the day after I returned from that San Franciso trip mentioned above) it is a day that scarred me. I wrote a little bit about it in this Hodgepodge (see #3) but it still scarred me. My birthday was Sunday, and I went to work on Monday in high spirits. And within a few short minutes my world had changed. I still have a hard time dealing with it. I haven’t been back to the campus since that day. I don’t want to go alone, but I don’t want it to be a trivial visit either. August 1985: What is now known as RIC was once known as Byrd Airport. We used to go there and watch planes take off when we were kids. What can I say, it was free entertainment. We’d sit at the window by the cafe and just enjoy. In August, I was teaching Bible school, and mom was irritating the tar out of me asking about my contact lenses. Was I wearing them? Did I have the case? Did I have my glasses? Was I sure? And over and over again. Good grief. That Friday we drove to the airport after VBS was over and my brother and I got out of the car and headed towards the terminal. We heard our mother calling us back, and when we turned around we saw her pulling luggage out of the trunk. “I thought we should look like tourists this time” she said. We looked at her like she was bonkers. But whatever, right? So we turned around, got the luggage, and then realized that it was full, not empty. Once we started forward we then saw my father walking out of the terminal. Then we got really confused. What on earth was he doing in Richmond? Well come to find out, dad had been doing a lot of business in Clearwater, Florida. This time he took us–all of us–with him. Mom too. We spent a week in Clearwater, two days at Disney, and it was the first family vacation with all four of us. Ironic that it was after the four of were any longer a family, but hey. It was something. January 28, 1986: I was in eighth grade. Andy Long was sent to the Principal’s office because he was acting up in photography class. When he came back, he said that the space shuttle Challenger had blown up. He was sent back to the Principal’s office for making up stories. Little did the teacher know . . . .
July 24, 2008: I have had many jobs in my life. I have left many, I have gone on, etc. This is the first time that I was taken by surprise. I had just finished a huge 4 day festival with 500 people in town for work, and two days later they laid off 55% of the corporate office. I was the first one to go. I found another job in a few months and was laid off again on Christmas Eve. It was to be another year and a half before I found a regular job again. Oh my gosh I can’t imagine how your teacher felt when she found out that the Challenger did blow up!